Now you can eat your morning toast and have it too. 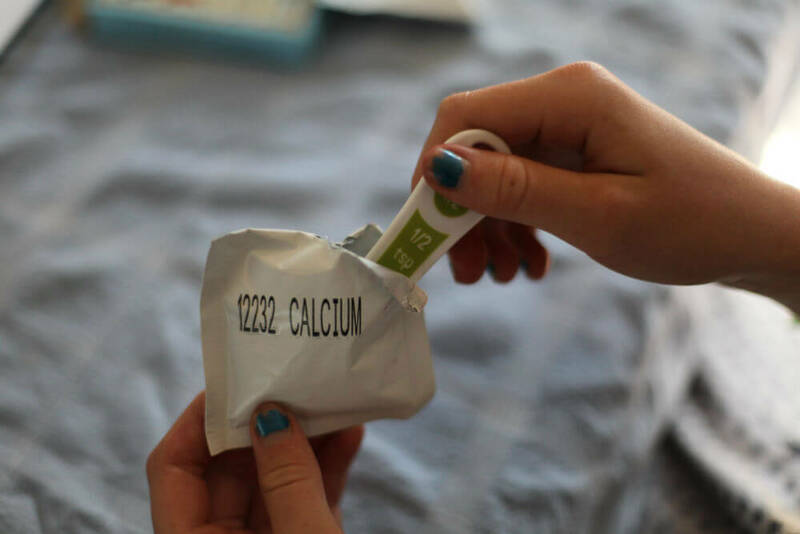 1You should get a small package of calcium with your pectin - If you didn’t then you should be able to find calcium water already-made at any grocery store. 2Put 1/2 tsp. of the calcium powder in 1/2 cup of water. Put it in a small clear jar with a lid and mix. 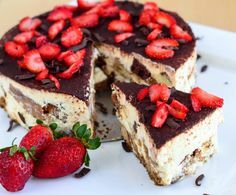 3Store it in the fridge (you can use this calcium water for multiple jam recipes). Keeps several months. Shake well before using. 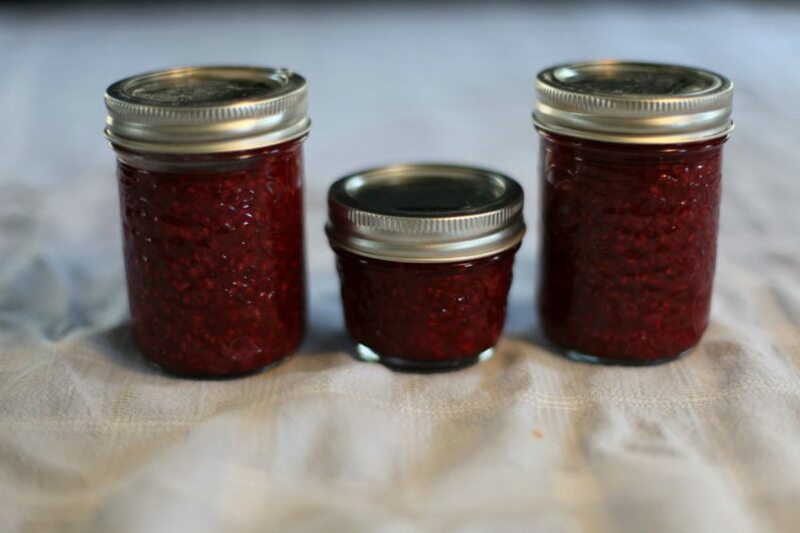 1This recipe calls for three-four small jam jars (see jar size in picture of finished recipe). 3Place in oven (do not preheat or else you could burn yourself). 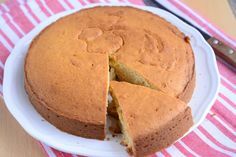 Turn oven to 225F for twenty minutes or so; if your oven is very slow to heat up you might consider 25 minutes. 4Fill a small saucepan with water. Boil canning lids until the jars and jam are ready. 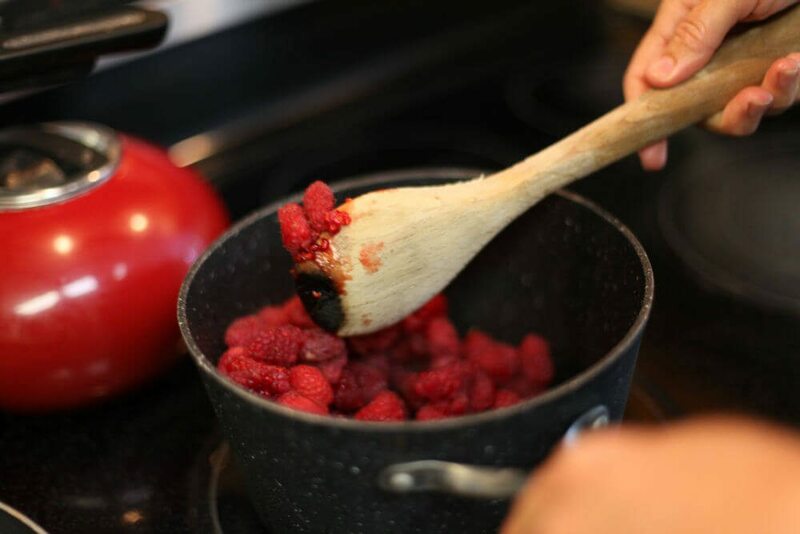 1Place raspberries in saucepan with calcium water (calcium water is 1/2 cup water, 1/2 tsp. 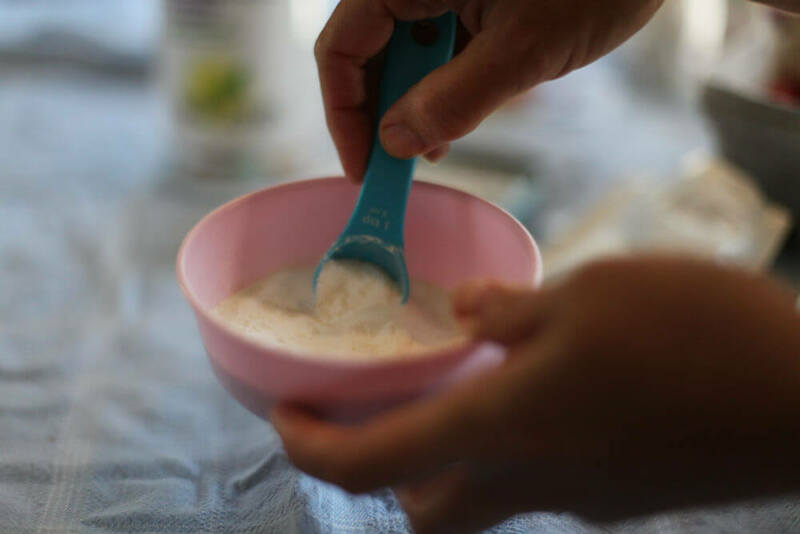 calcium powder - it should come with your pectin). 2Bring to a boil. 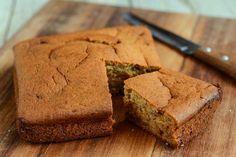 Mix pectin powder and stevia together. Pull saucepan off of the heat, and mix in the stevia/pectin mix. Beat vigorously. Put saucepan back on stove and bring to a boil again. 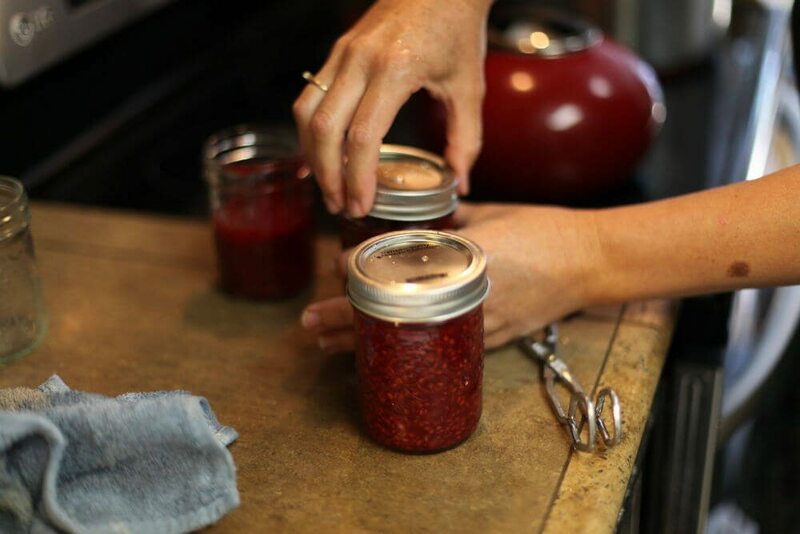 3Pour into hot jars and seal (leave ½ inch space from the top of the jar so the jam has room to expand when it cools). 4Boil filled jars in a pot full of boiling water for 5 minutes to seal the jar lids. 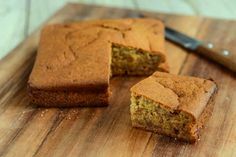 Let’s grab our small amount of ingredients and get them ready to work with! 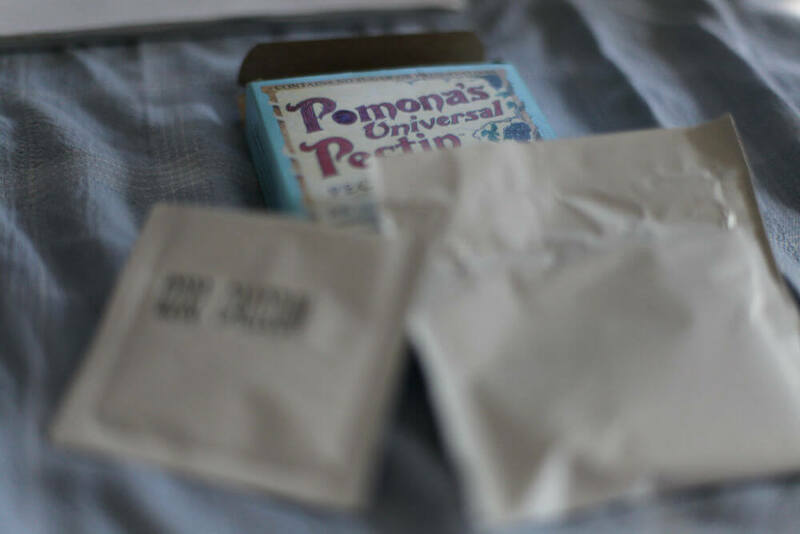 We’re assuming here that your pectin comes with the calcium needed for your calcium water. 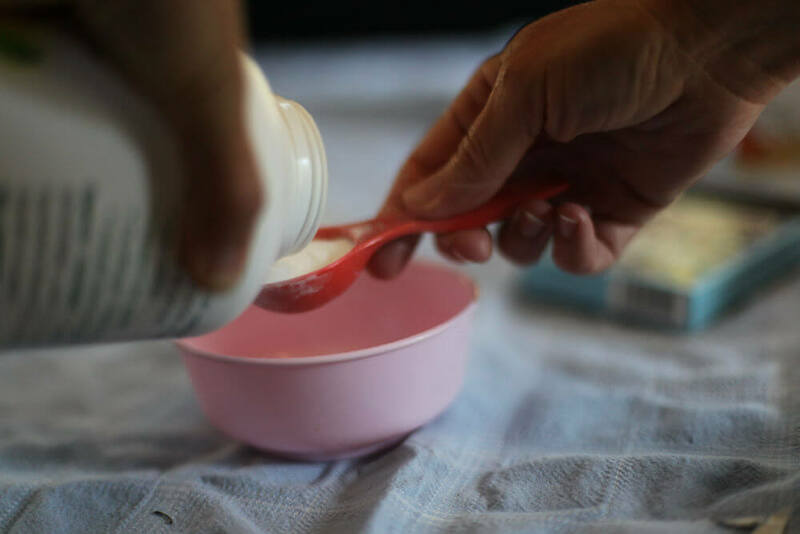 Let’s make the calcium water by mixing 1/2 cup of water to 1/2tsp. 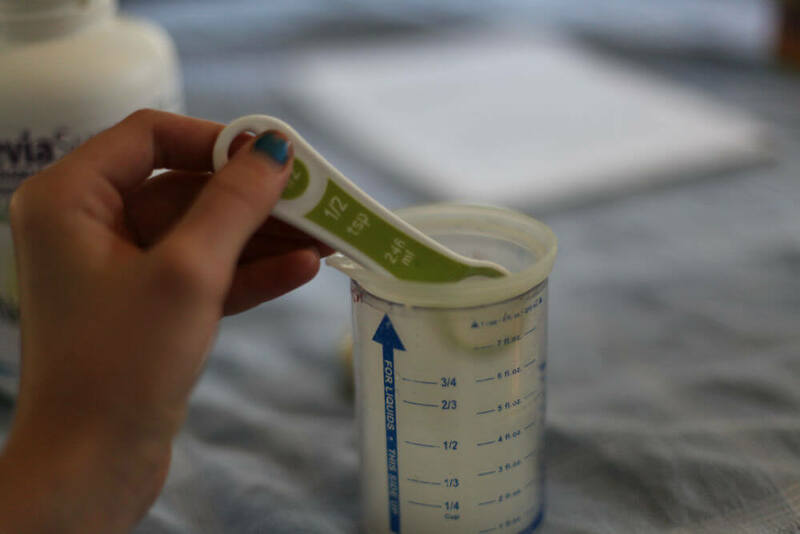 of calcium water (a good trick to remember this: think “half and half”). Mix/shake this vigorously to get it all mixed together. Our current recipe makes around 2-4 small jars worth of jam. 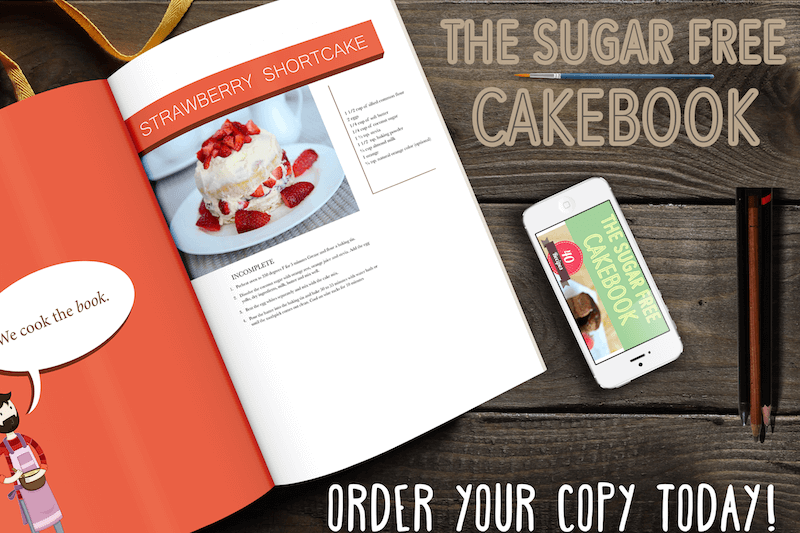 You can multiply the recipe as much as you need to make more. Wash your jars thoroughly (a dishwasher is a good idea). 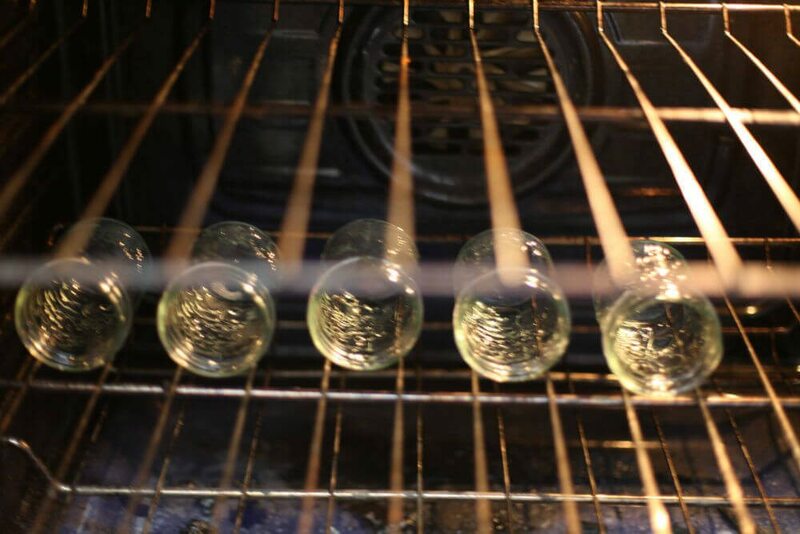 Then put the jars in the oven. Turn oven to 225F for twenty minutes. 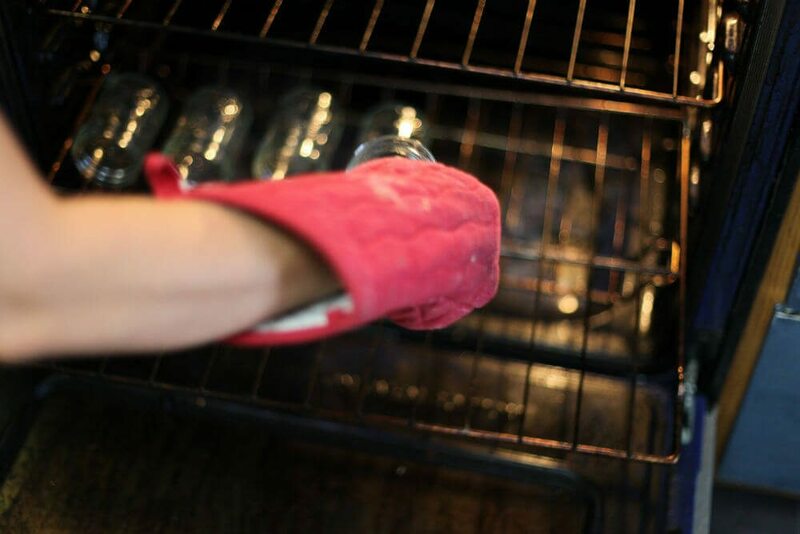 Don’t bother preheating your oven – you could burn yourself! Just turn it on once you’ve got the jars already inside. Place prepared fruit in saucepan with calcium water. Bring to a boil. 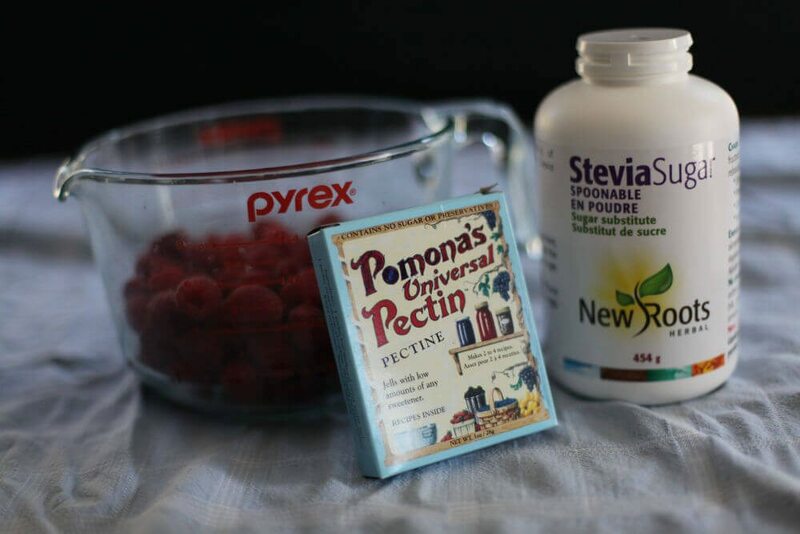 Now you can mix the stevia and pectin powder together. Then you can add that to the fruit. Don’t forget! 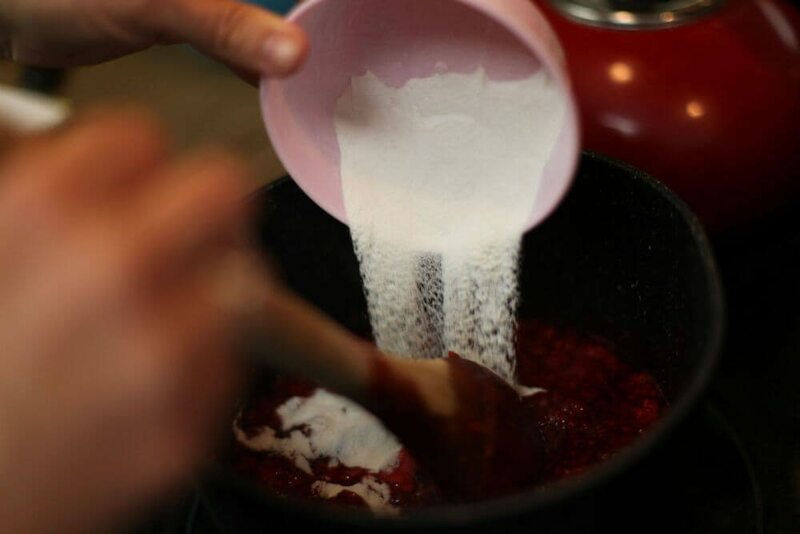 – Pull saucepan off of the heat to mix the pectin powder and stevia sugar together. Beat vigorously. Bring again to a boil. Pull your hot jars out of the oven and pour your raspberry jam into them (careful there!). Now put the lids on the jars so they can seal. Remember when you fill your jars, to leave a ½ “ from the top. 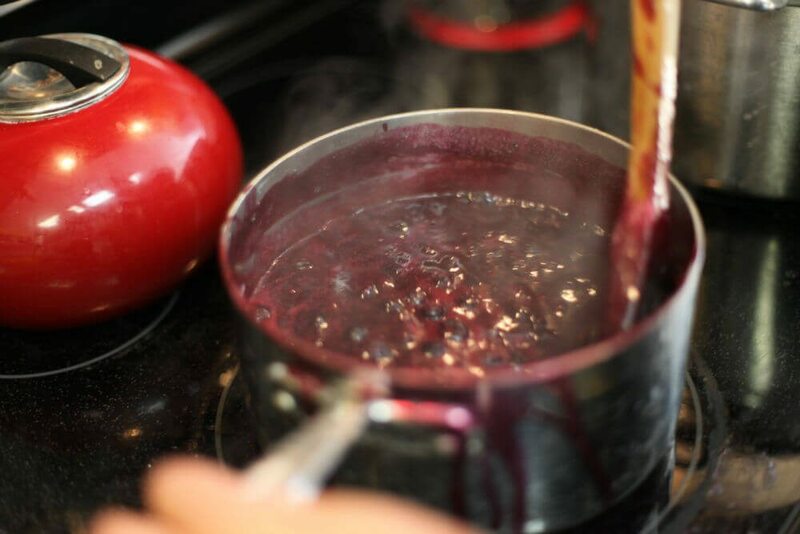 Now boil the jam-filled jars in a pot of boiling water for 5 minutes. 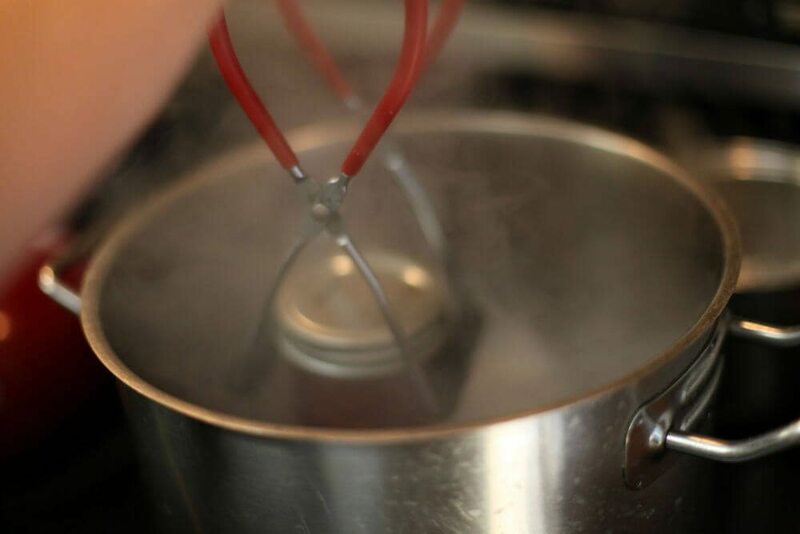 Tip: When you take the jars out of the boiling water, place upside down for a little while to help make sure they seal properly. When they are sealed properly you will be able to tap the lids and there will be no empty/hollow echo.